Coconut Oil – Is it really a super food? It seems like everyone’s eating coconut oi right now. When I was studying it was definitely on the eat rarely list because coconut oil is around 80% saturated fat. So to see it move from the artery clogging don’t eat category to the eat lots, super food category was a bit of a shock. It’s been claimed on some popular lifestyle blogs that coconut oil helps you lose weight, stimulates metabolism and stops sugar cravings, which are some pretty impressive claims. I was keen to find out if coconut oil really is something that we should be adding to our diets. So I decided to do a bit of research. It was actually quite hard to find good quality research on coconut oil. The “gold standard” in research is peer-reviewed clinical trials – there are none on coconut oil (that I can find). But what I do know, and you may have read elsewhere is that not all coconut oil is created equally. Conventional coconut oil is produced from dried coconut, producing trans fats. When it comes to fats, trans fats are the worst of them. They increase bad cholesterol and decrease bad cholesterol levels – a double whammy of heart attack risk. Virgin coconut oil is different. Made using fresh coconut, it is homogenized into a fine pulp, then gently heated to extract the coconut oil. While many bloggers and natural health advocates swear by virgin coconut oil, what’s not yet clear is if this is actually better. Virgin coconut oil still contains saturated fats, just not the trans fats that conventional coconut oil contains. And opinions are changing on whether or not saturated fat is the dietary villain that it was once thought. Saturated fats (well, all fats) are made up of different fatty acids. Our knowledge and understanding around the health effects of separate fatty acids isn’t complete. We do know that there are some saturated fats, for example, some found in chocolate, that don’t seem to be harmful. 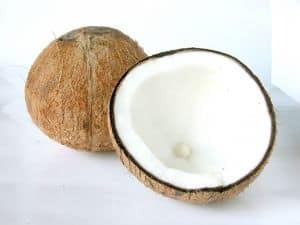 One of the fats in coconut is lauric acid which has been shown to have health benefits such as antibacterial and anti viral properties. Lauric acid also increases the “good” HDL cholesterol levels. The downside of coconut oil is that it also contains large amounts of myristic acid which has been shown to increase the “bad” LDL cholesterol. So is saturated fat per say as bad for you as once thought? Read here to find out more on that. There is a small but potentially important reduction in cardiovascular risk on modification of dietary fat, but not reduction of total fat, in longer trials. 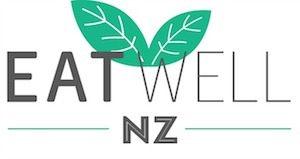 Lifestyle advice to all those at risk of cardiovascular disease and to lower risk population groups, should continue to include permanent reduction of dietary saturated fat and partial replacement by unsaturated fats. So, bottom line, while it would be fine to enjoy coconut oil every now and then, I don’t think there is enough research to advocate eating large quantities. Small amounts would be fine, but I wouldn’t be eating it by the tablespoon, which I’ve heard some people have been doing. Tomorrow, I’ll write a bit more about some of the other claims around coconut oil. I always wondered if coconut oil was healthy, I’ve read lots of good stuff about it. Thanks for sharing this information too, a good article.